The St. Maries fire district honored four of their own at an annual banquet dinner earlier this month. Josh Masterson was named Firefighter of the Year and Hadley McInturff Most Improved for the northern end of the district. Wesley Rice and Brian Bigelow received honors as Firefighter of the Year and Most Improved for the southern portion of the district. 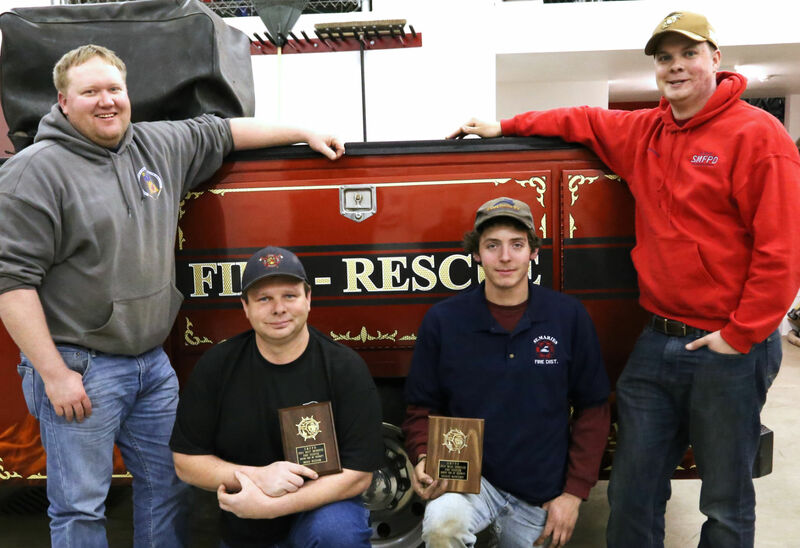 Wesley Rice (left) and Josh Masterson (right) were named firefighters of the year for the St. Maries fire district. Brian Bigelow and Hadley McInturff were noted for being the most improved. Mr. Masterson, who works for Mountain Plating by day, has volunteered for the local fire department since April 2013. He also instructs the junior class firefighters. Mr. Hadley, who drives a truck for a living, has been with the district since May 2012. 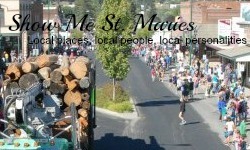 Mr. Rice works for the city of St. Maries and has volunteered for the department the longest of the four, with more than four years on the crew. Mr. Bigelow, who works for Black Rock Ranch ,has been with the district since 2012. He is a captain with the department and is a certified EMT. The St. Maries district has 31 firefighters, eight in training and eight junior volunteers spread across three stations in the district. Volunteers responded to a total of 108 calls last year.